Dorothea Nürnberg (Mag. phil.) was born 1964 in Graz, Austria. She studied German and French philology in Graz and the Sorbonne/Paris, and engaged for several years in arts management. She lives in Vienna. 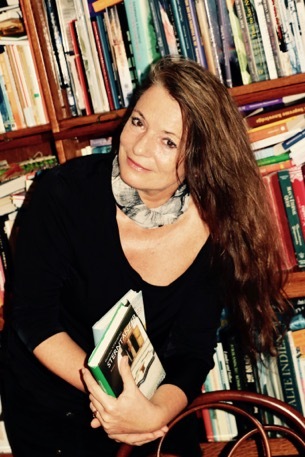 Her works include poetry books (among others BewusstSein im Werden 1996; Penelope 1998; heimgekehrt unter das kreuz des südens 2002; Tanz 2002; Onda 2004; herzwortweben 2017, sonnenwind 2018; novels and short stories, among others Auf dem Weg nach Eden 2000, Tochter der Sonne 2004, Spiegelbilder 2006, Sterntänzer 2012, Unter Wasser 2015. The Film Script Waltz on the Raga 2011 for Wega Films Vienna. LOG International magazine for literature 2017, Poezibao, Paris; Vallejo&Comp. Quito 2017. Literary contributions for art catalogues and art exhibitions. She is member of board of PEN-Club Austria, Writers Association, member of the Literary circle PODIUM and member of Austrian Writers Association OESV as well as honorary member of International Film & Television Club, New Delhi. For the past several years she has also been engaged in art photography and has held exhibitions in Paraguay, Brazil and Vienna. She has been editing indigenous poetry, Im Flug der Harpyie, Löcker Verlag 2015. Speaker at Sorbonne University Paris Nov/2017. Her books are translated into English, French, Portuguese, Spanish, Turkish, Arabic, Farsi, Russian, Hindi and Odia.